C4EM are pleased to be visiting Ballarat for the bi-annual Committees for Cities conference this week, with host Ballarat providing an opportunity to showcase the city and collaborate on a plan for advocacy leading up to the federal election. Committee for Ballarat chairperson Nick Beale said the committee was proud to host the conference and showcase the city to leaders who may not have visited before. “Of course having Bob Geldof here when the conference is here is a real coup for us. It shows Committee for Ballarat is doing some amazing things for the region,” he said. Representatives from committees for Gippsland, Geelong, Adelaide, Melbourne, Cairns, Canterbury in New Zealand, Brisbane, Greater Shepparton, Wagga, Wyndham, Echuca Moama, and Portland will attend an opening dinner on Wednesday night. The program for Thursday details a visit to Waubra Wind Farm and a session with guest speakers including Minister for Roads Jaala Pulford, Brian McCain from McCains speaking on how international businesses can work with regional areas, and former Federation University arts director Bryce Ives who will speak about creativity and culture for cities. Members will also visit Sovereign Hill on Thursday afternoon before a formal network meeting on Friday morning to discuss common issues and a strategy to approach government and opposition in the lead up to the federal election. Around the country there are issues around jobs, skills shortages and training. Mr Beale said he expects jobs and skills shortages, renewable energy and fast regional rail to be discussed at Friday’s formal meeting. “Around the country there are issues around jobs, skills shortages and training,” he said. 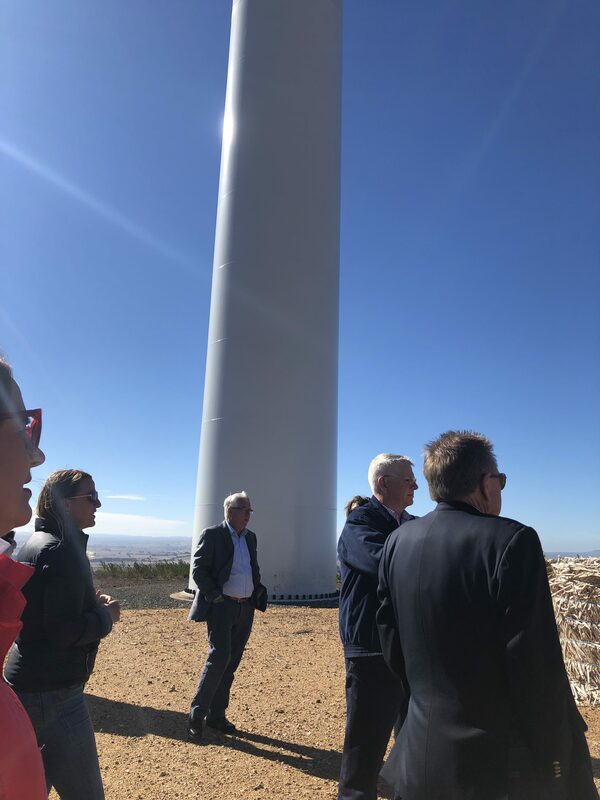 “I am sure we will be discussing renewable energy – the visit to Waubra Wind Farm will raise that.